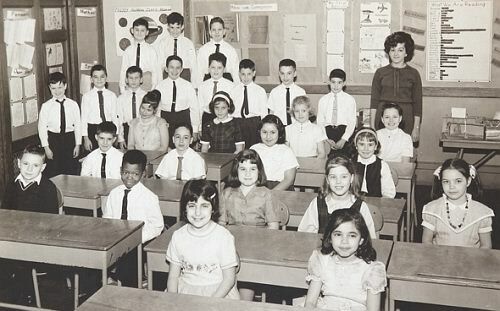 A Picture History of Kew Gardens, NY - Class Pictures - PS99 Grade 3-1 1963. Robert Nadleman, Fred Goldberg, Unknown, Josh Levine, Joseph Gottlieb, Fred Cohn, Larry Weinbaum, Dennis Gargiulo. Unknown, Jonathan Baruch, ____ Wolf. Joyce Mordecai, Denise Chen, Unknown, Unknown, Unknown, Betty Jane Langer, Claudia Wolf, Judy Szac, Unknown.